This week on All in the Industry, host Shari Bayer is joined in the studio by Katie Parla, a Rome-based food and beverage educator and journalist. Originally from New Jersey, she has an art history degree from Yale, a master’s degree in Italian Gastronomic Culture from the Università degli Studi di Roma “Tor Vergata”, a sommelier certificate from the Federazione Italiana Sommelier Albergatori Ristoratori, and an archeological speleology certification from the city of Rome. Katie’s mission is to highlight great food and beverages, praise the people dedicated to feeding us well, and to get readers talking about what they are eating and drinking. She focuses special attention on Rome, where she lives, threats to local food culture, and critical reviews of restaurants and trends. 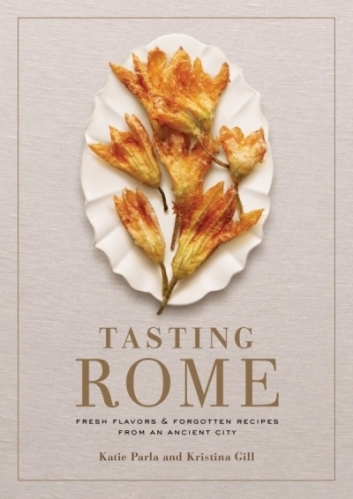 Her cookbook, Tasting Rome: Fresh Flavors and Forgotten Recipes from an Ancient City, co-authored with photographer Kristina Gill, is on sale now. Episode 106 | Herb Karlitz, Co-Producer Of Harlem EatUp!